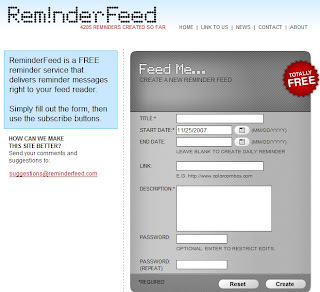 Reminder Feed is an online service that lets you create a feed which can remind you something one day. Simple to set up your feed schedule, web link, title, description, then create it and add into your feed reader. Very simple but useful.